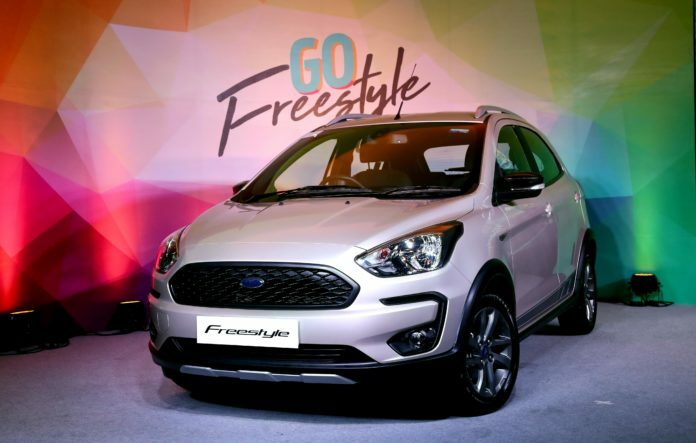 Freestyle “Compact Utility Vehicle”, as Ford likes to call it, has been launched in India today. The cross hatchback is based on Ford’s Figo and is introduced at a starting price of Rs. 509,000/- for base petrol variant. It is interesting to see that this price is lower than the base price of the current Figo by around Rs. 42,000. Looking at this pricing, we can expect a price cut on the upcoming Figo facelift too. 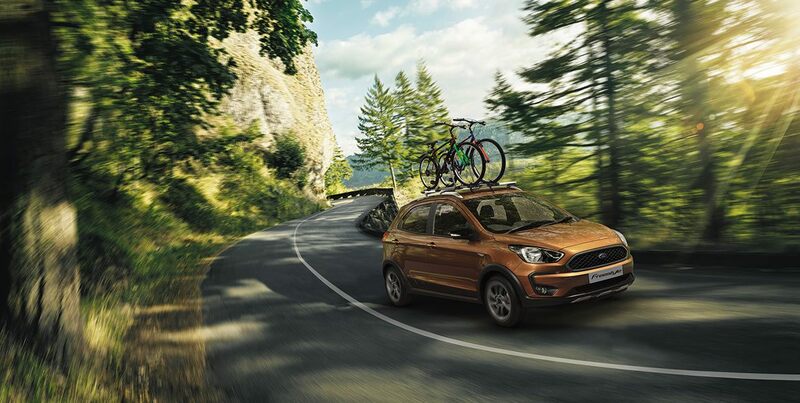 Ford Freestyle will come in four variants namely Ambiente, Trend, Titanium and Titanium+. Ford Freestyle will come powered by both petrol and diesel engines. The petrol engine on offer is an all-new three cylinder 1.2L one, producing 96PS and 120Nm torque. The diesel motor is the same 1.5L, producing 100 PS power & 215 Nm torque, which does duty on some other Ford cars as well. Both these engines will come mated to an all new 5-speed manual transmission. As per Ford, the new gearbox is 15% lighter and aids in higher fuel economy while having reduced NVH levels. It also consumes 40% lesser gear oil than the older unit. Ford Freestyle boasts of 190mm ground clearance. The track width of the car has also been increased to make it more suitable to tackle different terrains. It comes with a boot capacity of 257 litres. The car will be available in six shades Canyon Ridge, Moondust Silver, Oxford White, Smoke Grey, Absolute Black and an all-new White Gold.